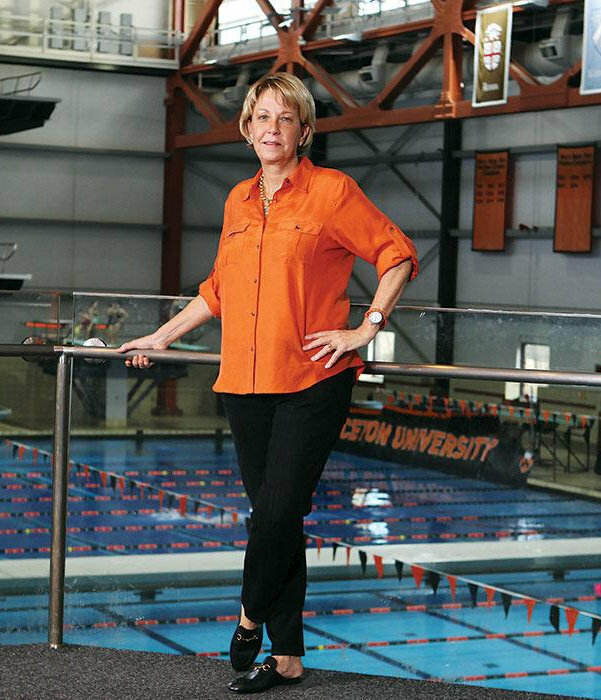 Susan Teeter retired after her 33rd season as the ultra-successful head coach of the Princeton women’s swim team in 2017. 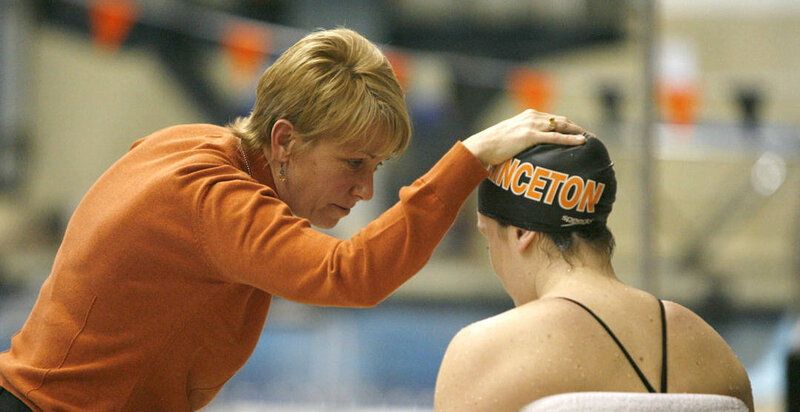 She racked over 219 dual meet victories, and guided Princeton to an incredible 17 Ivy League titles. Most recently, she was elected as the President of the College Swimming & Diving Coaches Association by her colleagues and awarded USA Aquatics Sports Most Outstanding Woman for 2015. Teeter was honored with the CSCAA “Lifetime Achievement Award” in 2011, and earned an American Swimming Coaches Award of Excellence 2006 – 2009. In all, she has been on the staff of nine international swim teams. From 2001-2008 she served as a special consultant to Speedo USA for all Olympic and World Championships. Teeter has mentored swimmers who went on to become Olympians, NCAA qualifiers, and All-Americas. Teeter has also been awarded the credentials of Certified Professional Behavioral Analyst and a Certified Professional Values Analyst. She works with college and club teams as well as small businesses to improve the quality of their programs and communication. Through her work with the Target Training materials, Teeter has become known as one of the great TEAM Builders in College Swimming. SIGN UP FOR AN EXCLUSIVE LUNCH WITH SUSAN TEETER! Teeter was honored with the CSCAA “Lifetime Achievement Award” in 2011, and earned an American Swimming Coaches Award of Excellence 2006 – 2009. In all, she has been on the staff of nine international swim teams. From 2001-2008 she served as a special consultant to Speedo USA for all Olympic and World Championships. Teeter has mentored swimmers who went on to become Olympians, NCAA qualifiers, and All-Americans. TICKETS AVAILABLE FOR AN EXCLUSIVE LUNCH WITH SUSAN TEETER! LIMITED AVAILABILTY – RESERVE YOUR SEAT TODAY!